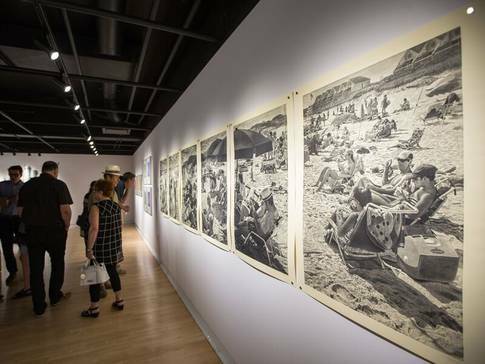 This biennale, the largest show in Canada dedicated to printmaking, is currently organizing its 11th edition that will be presented in Trois-Rivières from June 16 to September 8, 2019. The call for entries has been extended until September 16. Work exhibited in the previous biennale. As part of the 2018 Australian Print Triennial there will be a major exhibition of finalists for the APT Print Award. The Print Award has been designed especially for printmakers in that all aspects of the prize are designed to enhance and support the winner’s printmaking experience. The finalists will be selected by two judges from all of the entries received. All entrants will be notified as to their selection or non-selection. The Burnie Print Prize brings the best of contemporary print art to Burnie by print artists from the Oceania region. Megalo Print Studio + Gallery are pleased to announce the first Megalo International Print Prize with an impressive $18500 in prize money. 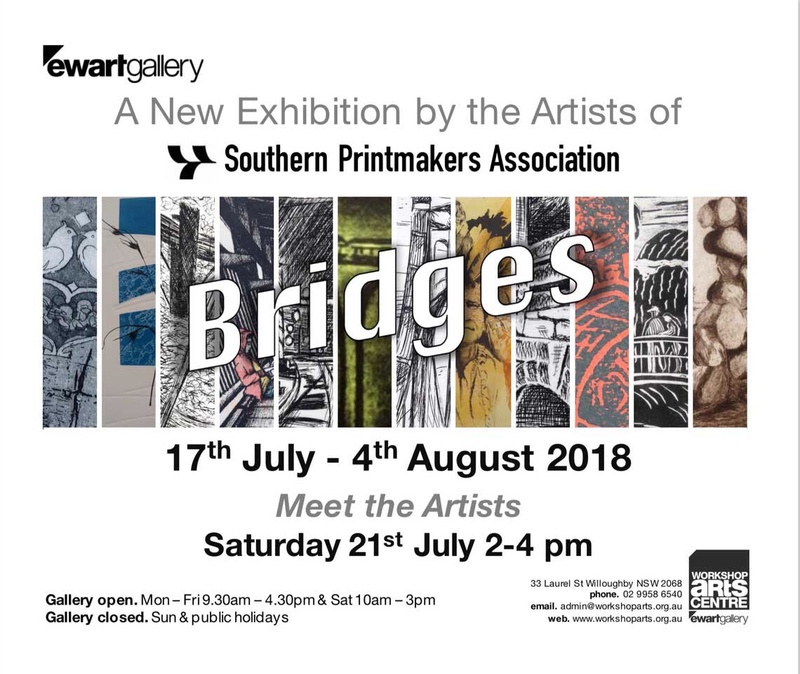 Artists may enter up to 2 works. Entry fees are $40 for 1 work or $60 for 2 works. Conditions and entry form here. Ros Kean appears to be the only Australian artist represented in the Triennial. Within the field of visual arts immersion is mostly related to intense development of new ways of experiencing the images generated by digital tools, especially in a form of augmented (AR) and virtual reality (VR). At present this phenomenon is not only related to images programmed according to the algorithms in the computer environment, but it became an important feature of contemporary culture and a key factor of the way human being experiences different aspects of reality. Supremacy of images, that have been present in different forms in the space that surrounds human beings, resulted in the mid-1990s with appearance of concepts of pictorial and iconic turn. Both of them were described as opposed to the Gutenberg Galaxy – based on the dominance of written word – and at the same time they came into polemics with the linguistic turn introduced by Richard Rorty in 1967. […] what is granted to the Logos, must also be granted to the image, albeit it in its own way. […] the goal is to extend the Logos beyond the boundaries of the word with a new iconic potential. […] the post-linguistic and post-semiotic age is completely dominated by images. At present we experience reality in which an image is an autonomous language by means of which our process of world perception occurs, marking an important influence on the way we think. Today, image is a primary form of perceiving the world as well as expressing one’s convictions. It has become the most important element of building unity in the time of mourning after a tragedy, as well as a way to protest against reality. Image is used to provide information (vertiginous development of diverse forms of infographics), to express emotions (emoticons) and comment on reality (memes). We are living immersed in millions of images that are coming to us from tv screens, computer monitors, smartphone displays, large outdoor screens, as well as from shopping windows, posters, banners, leaflets, sticker art and graffiti that fill the public space. Drifting in visual stream, we are losing our ability to distinguish between reality and its representation. We are unable to verify truthfulness of data that reach us through the instruments of visual communication. An image that has its counterpart in reality becomes identical with the image that is in hundred percent generated. Does it mean that we know better the world we are living in, or is it only our belief in the supremacy of our knowledge of the world in relation to previous generations that is increasing? Does cognition mediated by images enable us to build a coherent vision of reality? Perhaps it is a challenge beyond the possibilities of any perception. Nevertheless, it is the immersion in images that becomes one of the most important human experiences; images with which we are constantly in contact transform us in multiple ways. 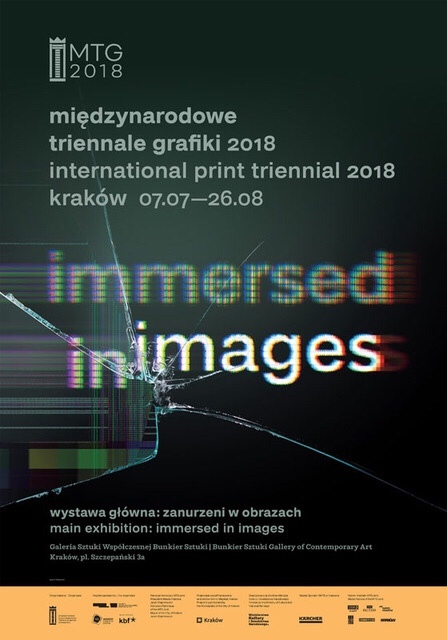 The Main Exhibition of the International Print Triennial 2018 is an effort to create a mirror-image of contemporary visual reality, and art works that are exhibited at it represent human-image relationships on many different levels. Exhibition presents 242 works by 117 artists from 29 countries.